Fender wrote and recorded "Wasted Days and Wasted Nights", a blues ballad, for Duncan Records in 1959, during the early stages of his career. He was in the process of perfecting his mesh of rockabilly and Tejano, and the song showcased his new style. But he was arrested on charges of possession of marijuana, and in May 1960, he was convicted. The popularity of the song, along with his own popularity, plummeted. 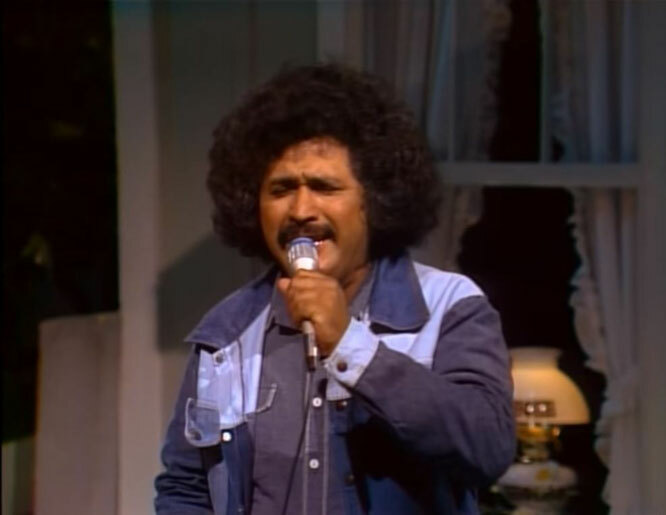 Fender also recorded a Spanish-language version, entitled "Noches y dias perdidos"
Then, in 1975, "Before the Next Teardrop Falls" became a major hit for Fender, and his career was rejuvenated. 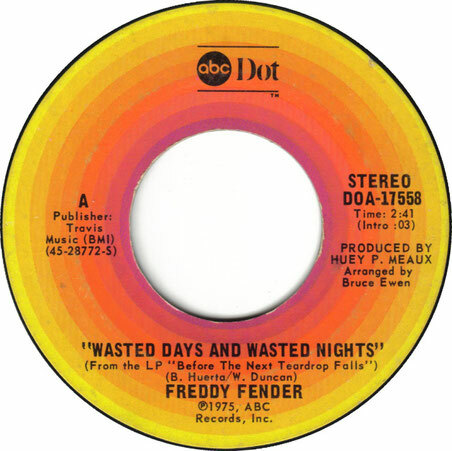 With the help of record producer Huey P. Meaux, Fender re-recorded "Wasted Days and Wasted Nights." The basic track for this song was engineered by Mickey Moody at Ben Jack's Recording Studio in Ft. Smith, Arkansas. Session players included Bruce Ewen on piano, Bill Hamm on guitar, David Hungate on bass, and Bob Ketchum on drums. This time, the song became a major pop and country hit, topping the Billboard Hot Country Singles chart in August 1975.On other charts, "Wasted Days and Wasted Nights" went to number eight on the Billboard Hot 100, and number nine on Billboard's Easy Listening chart.